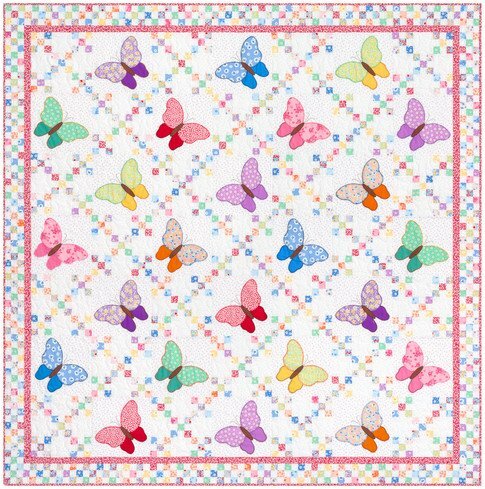 Aunt Ella's Butterflies Quilt Kit - Kit includes printed panels and fabrics to complete the entire quilt. Finished size 72" x 72". All butterflies are pre-printed on panel sections so all you need to do is stitch with your favorite floss.